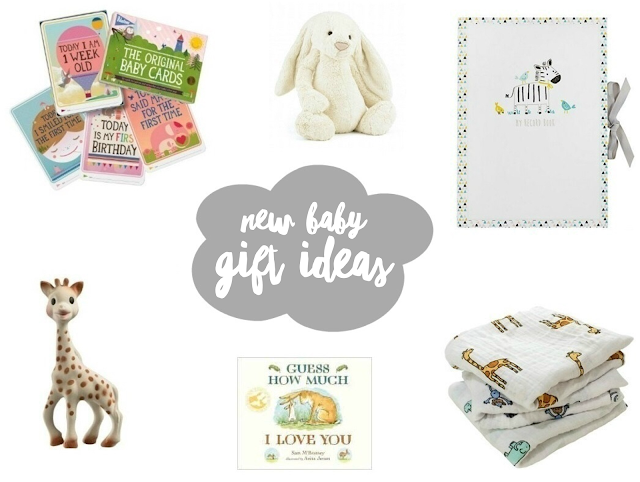 If someone you know is either pregnant or has recently had a baby and you're looking for gift ideas, then look no further! I've put together some of my favourite items which would make the perfect gift for a new baby. Milestone Baby Cards - This set contains 30 milestone cards which enables you to capture the first year of a babies' life. You simply fill in the date on the back of the card and take a photo of baby with it. I love the idea of these, as you won't forget special moments and once filled in they will make a great keepsake too. Jellycat Bashful Bunny - I think everyone loves a cuddly toy! Jellycat are personally my favourite brand of soft toys and we have a large collection of them already. They're so soft and fluffy and a must-have for a new baby! Baby Record Book - A record book is another lovely way to document precious memories in a babies' first year. I love the zebra and patterns on this one from John Lewis. There are 28 pages to fill in - including baby's first hands prints and space to stick photos. Sophie The Giraffe - A must have for any baby, Sophie the Giraffe is made from 100% natural rubber and food grade paint - making it the perfect toy to soothe sore gums when teething. Guess How Much I Love You Board Book - A classic book, all about Little Nutbrown Hare and Big Nutbrown Hare and them trying to describe how much they love each other. It's a beautiful book and a must read. Aden + Anais Jungle Jam Muslin Cloths - These beautiful muslin cloths are an essential and perfect for new babies. They have a variety of uses, from mopping up spills, wiping baby's face or to put over your shoulder when burping. They're 100% cotton and get softer with every wash too, making them an ideal gift. 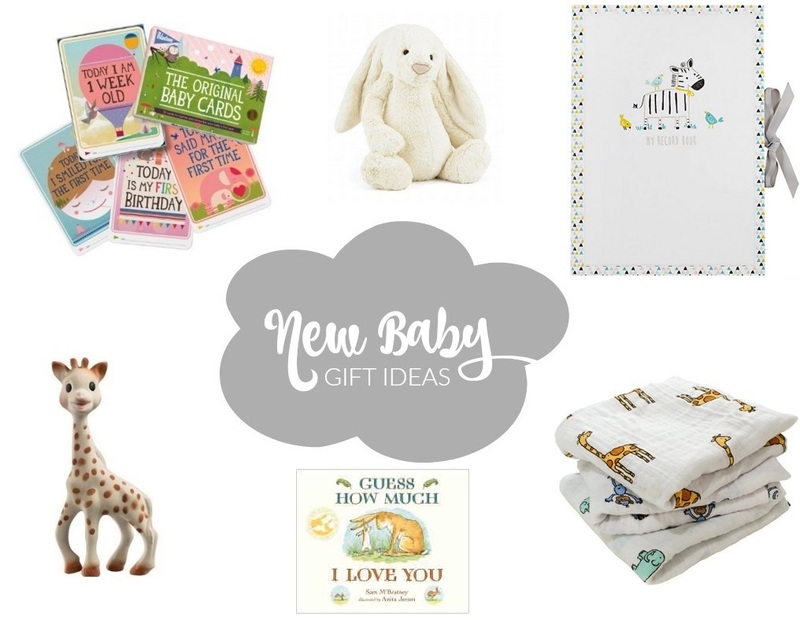 What are your favourite gifts to give to a new baby? Lovely choices. Amelia loved those Muslins and her Sophie giraffe when she was a baby so they would definitely be items I would choose. Also who doesn't love a jelly cat toy! I love the milestone cards - I wish I'd had them when my daughter was a baby. I think they make such a lovely gift. We have those muslin cloths and love them - so useful and versatile. I'm expecting my second baby in the next few weeks and all of these items would be greatly appreciated! I had a Sophie the Giraffe bought for baby by my SIL as I've heard how amazing they are for little teethers. I would also suggest that vouchers for clothes are a good idea - that way, the parents can choose clothes that they like and in sizes they need.